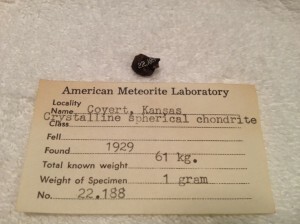 “The Covert meteorites gave assurance that my theory would be fruitful, and I now determined to resign my teaching position as soon as my finances were in better shape, and devote my time to meteorites. I proposed to lecture, hunt meteorites and supply specimens to museums” (Nininger, 1972, pp.30-31). 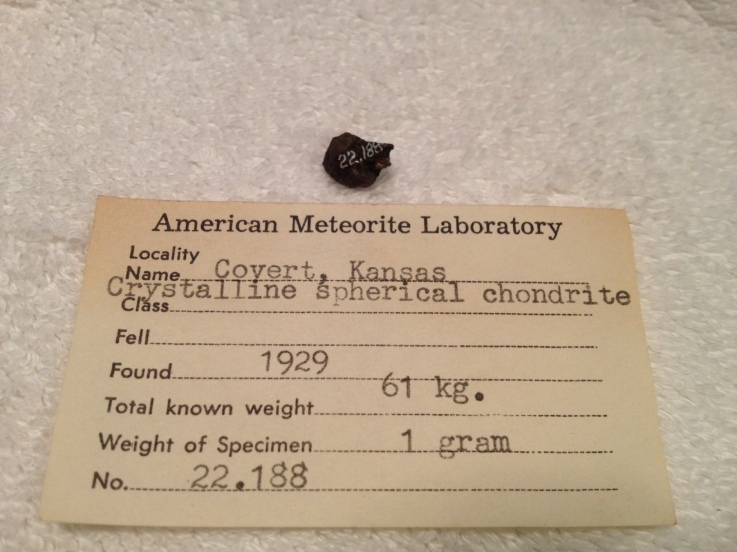 Furthermore, “By 1929, when the Covert meteorite was discovered as a direct result of my lecture program, I was convinced that one part of the earth’s surface was just as likely to receive meteoritic falls as another, and that the education of the public as to the importance and value of meteorites would prove the largest factor in the discovery of meteorites” (Nininger, 1972, pp.106-107).